Eveline Killian and Daniel Tuhus-Dubrow will panel this discussion on successful retrocommissioning. Retrocommissioning is a whole building approach that seeks to improve how building equipment and systems function together. The mechanism of this work is to focus on the opportunities found through the building automation system (BAS), which has become a feature of not just large, but also medium-sized and even small buildings. Improvements are typically low-cost or no-cost items that correct operational deficiencies such as control sequences and sensor calibration; this can make a huge difference in the building’s energy consumption and the occupants’ comfort level. Cx Associates and Control Technologies have implemented a retrocommissioning project at the Vermont Historical Society in Barre, Vermont, and have been following the results since May 2017. This presentation will cover the process, the pitfalls, the impact, and the persistence of the benefits, with input from the client. Jennifer Chiodo will panel this worksession with L. David Keelty of the University of Vermont Medical Center. The owner’s project requirements (OPR) define the goals for construction projects. Whether it is a new building, a remodel, or a system upgrade, defining the objectives up front for the team helps to ensure project success. Learn all about the OPR document in this interactive session led by professionals experienced in the development and deployment of OPRs on large and small construction projects. The session will cover what an OPR is, its roots in commissioning and LEED, why it is important, how it is used, and details of the OPR development process. Audience engagement will be encouraged as the participants jointly craft an OPR for a conference room meeting space. Participants will receive a sample OPR based on their input two weeks after the session. Gretchen Schimelpfenig is also presenting at the BBD 2018 Conference. The Burlington 2030 District is working to reduce building energy consumption, water usage, and transportation emissions by 50%. By establishing the business case for these reductions, the district aims to increase owners’ asset value, reduce operating costs, and create a healthier environment. This presentation will describe how the district is working to achieve these goals, including the management and structure of the district, and how it connects with the wider 2030 district movement. 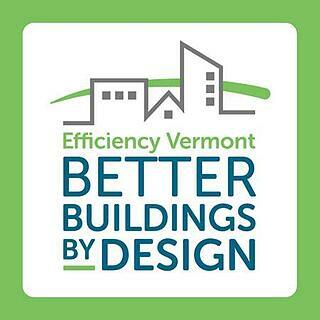 To register for the Better Buildings by Design conference, visit https://contractors.efficiencyvermont.com/bbd.